Next year is chocked-full of awesome new travel experiences, but Editor Phil Gusman rounds up the most exciting openings, changes, and news coming down the pike in early 2015 on land, by air, and by sea. Stay with the kids at Excellence Group’s newest property, The Finest Playa Mujeres! Playa Mujeres, Mexico will be home to Finest Playa Mujeres, the newest addition to the Excellence Group of hotels, on Feb. 12. Finest Playa Mujeres will be the only all-inclusive luxury resort in Cancun that welcomes guests of all ages, and will have all-suite accommodations, ranging from 800 to 3400 square feet. Services and amenities include 12 pools, yacht excursions, beginner’s scuba lessons, water sports, cooking lessons, outdoor fitness trails, and Finest’s ONE Spa. Be one of the first to enjjoy the Moon Palace Jamaica Grande when it opens Feb. 1. 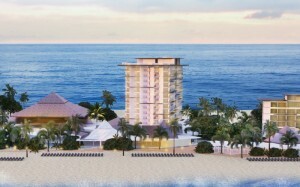 Palace Resorts announces that Moon Palace Jamaica Grande will open in Ocho Rios, Jamaica on Feb. 1. Palace Resorts had assumed ownership of the property, formerly known as Sunset Jamaica Grande, in July 2014. Renovations and improvements since then include modernizing guest rooms, revamping and expanding meeting spaces, a redesign of common areas, restaurant updates, and the addition of Palace Resorts amenities such as FlowRider® Double wave simulator, Wired Teens Lounge, ultra-chic Noir nightclub, expansive kids club dubbed “The Playroom” and more. New routes and destinations await you in 2015! Alaska Airlines will add new nonstop flights between San Diego and Kona, on the Big Island of Hawaii, beginning March 5. The flights will operate three times weekly on Monday, Thursday, and Saturday. Alaska Airlines will also begin daily nonstop service between Seattle and Washington, D.C. on March 11. The flight will depart Seattle for Dulles International Airport at 9:20 a.m., and will depart Dulles for Seattle at 6:20 p.m. Spirit Airlines will offer 10 new nonstop destinations from Houston George Bush Intercontinental Airport in 2015. Daily flights to Tampa, Baltimore/Washington, D.C., and Oakland/San Francisco Bay begin on March 26, March 27, and April 16 respectively. New flights to Mexico begin on May 7, including three per week to Cancun (increases to daily on June 11), two per week to Los Cabos (increases to four per week on June 11), and two per week to Toluca/Mexico City (increases to three per week on June 11). 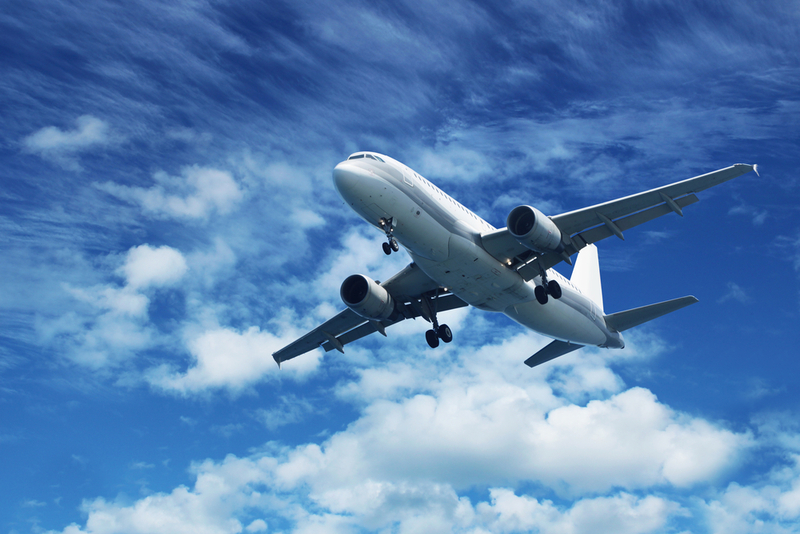 New flights to Central America begin on May 28, including three per week to Managua, Nicaragua and San Pedro Sula, Honduras; and four per week to San Jose, Costa Rica and San Salvador, El Salvador. American Airlines is adding new service from Miami to Germany with daily fights between Miami International Airport and Frankfurt Airport beginning May 14. American will also add Birmingham, England to its network with daily flights from New York’s John F. Kennedy International beginning May 7. Southwest Airlines plans to add service to Puerto Vallarta, Mexico from Orange County/Santa Ana, Calif. beginning June 7, subject to government-agency approvals. Southwest will also add Saturday service between Baltimore/Washington International Airport and San Jose del Cabo/Los Cabos, Mexico beginning June 13. Delta will add daily nonstop service to several cities from Seattle. Four daily flights to Sacramento, Calif. and Boise, Idaho will begin on May 4. One seasonal daily flight to Ketchikan, Alaska and Sitka Alaska will begin on May 15. And Five daily flights to Denver will begin on June 4. The Denver flights will be operated by Compass Airlines. The Boise, Ketchikan, and Sitka flights will be operated by SkyWest Airlines. SkyWest and Compass will both operate the flights to Sacramento. Cruise & Maritime Voyages (CMV) will have a new flagship for its ocean fleet. The company has purchased Grand Holiday from Costa Crociere, which it will re-name Magellan and launch in spring 2015. The ship, at a gross tonnage of 46,052, will carry 1,250 passengers and operate as an adult-only (16 years and older) ship. Christian Verhounig, CEO and chairman of CMV says, “The introduction of Magellan to our growing ocean fleet is another important milestone in the expansion and strategic development of the Group’s presence in the UK and wider international markets which will increase overall capacity to 115,000 passengers. Building off of its Breakaway Class of ships, Norwegian Cruise Lines will launch Escape in fall 2015, which is a Breakaway Plus Class ship. Escape will offer seven-day Eastern Caribbean itineraries from Miami. It will include popular Breakaway Class features such as the Waterfront—an oceanfront promenade lined with restaurants and bars, and 678 Ocean Place—three decks featuring NCL’s largest casino, Skyline Bar, and dining options. Escape has a gross tonnage of 163,000 gross tons and 4,200 passenger berths. Watch a sneak peek now! Royal Caribbean International will launch its second Quantum Class ship, Anthem of the Seas, in spring 2015. Among other highlights, the ship will feature a sky-diving simulator, bumper cars, a 220-foot outdoor poolside movie screen, and the North Star—a capsule that elevates passengers 300 feet above sea level and offers 360-degree views of the sea and destinations. Anthem has a gross tonnage of 167,800.